L'il Dee's Crafting with a Kitten: Merry Christmas Everyone!!!! I almost forgot to post this tonight and I would have totally messed up my challenge if I did. Here is my final Christmas project for this year. 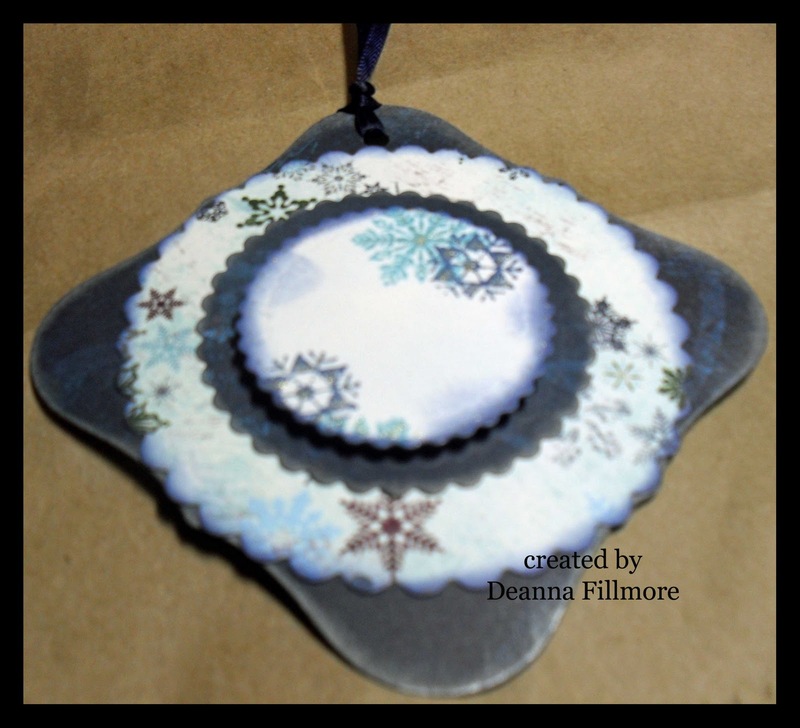 It is another gift tag I made this week. It is nothing fancy but I did use up a fair bit of patterned paper. The paper is from the Bo Bunny "Midnight Frost" line. I edged the dark blue papers with brilliance starlite silver ink and for the light blue papers I used versa magic night sky ink. I stamped the snowflakes on the middle piece with broken china and chipped sapphire distress ink. I cut the shapes out with spellbinders petite scalloped circles and labels one. I also highlighted some of the snowflakes with a sakura clear stardust pen. Well that's it for tonight I still have a present I need to finish making and some wrapping to do. I guess I better get to work LOL. I hope everyone has a safe and happy holiday!! !